– Can you please tell us about you? Where do you live and how is your daily life? – When did you start writing? How often do you write? I started writing close to 40 years ago. I write every day and if I have to miss a day I’m not happy. I’ve had over 400 stories published and am in double digits for Pushcart nominations but alas, no acceptances. I had a story as one of the winners in 2016 Best of Small Fictions and also in 2016 one of my stories was chosen for Editor’s Choice from The Southeast Review. I was also fortunate enough to have one of my micro stories taken for the nee Norton Anthology of Micro Fiction. 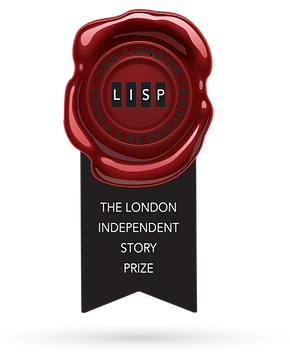 – How did you feel when you learned that you were longlisted for The London Independent Story Prize? I was pleased and surprised. I like the concept of LISP and was happy with the recognition it brought me on social media. As for having my work recognized–it’s always a good feeling. I enter a few contests a year but most of my writing is geared to writing for myself. – What’s the best thing and the hardest thing about writing a Flash-Fiction? I’ve always been a short story writer and for the most part my stories ranged from 1500 – 2500 words so writing Flash was a natural transition. – How did you come up with the idea for your LISP selected story? Is there a story behind your story? And how long have you been working on it? I read a lot. Mostly flash fiction and detective stories and I was wondering one day if there was a private eye school and that was the Genesis of my story. It fit right into a prompt I’d gotten from Meg Pokrass’ class. I wrote it that day and worked on tightening and modifying it over the next couple of weeks. – Can you please give us a few tips about writing a 300-word flash-fiction story? 1- Write a 600 word story and cut it in half. 2- Write a story and then read it aloud to yourself striking out all of the extraneous words/phrases. 3- Go over it again and lose the adverbs, adjectives and anything that doesn’t advance your story. So many terrific writers are concentration on micro fiction stories and reading their work is like taking a class. And speaking of classes I’ve taken On-line classes with Nancy Stohlman, Kathy Fish, Meg Pograss and a 4 day class in Taos called Bending Genres with Meg Tuite and Robert Vaughan and will be going to Denver in August to take a class with Kathy Fish and Nancy Stohlman. – What’s the best thing about writing competitions? I find the best part of writing competitions is reading how other writers react and record their thoughts on the same instructions. -Lastly, do you recommend the writers to give it a go on flash fiction story and LISP? I do because of the way this competition is run. I like the short quarterly aspects to the contest. As far as trying to write Flash I’m all for it. It will tighten up your longer works and give you some good writing habits. To read his recommended story please click here.